The most important thing in a return policy is to make it flexible. You want to make sure your customers are offered maximum convenience while protecting your profits as best you can. An easy way to drive your customers towards choosing store credits while still giving them a multitude of options is to offer a free return if they select store credit, versus a small fee if they choose to get a refund on their original payment method (or decide to charge them for the cost of the label). Also, the store credit option should appear first, so make sure you choose a rank 1 when you set the return option in your rules (click on "Edit" next to the return option). There are different ways of tracking discounted items. You can create rules according to discount amount (% or $), or if you track your sale items with product tags, you can use those tags. Depending on what system you are using to put your items on sale, the discount amount rule may not be able to filter your sale items properly. If you are using discounts or apps that use discounts, the discount rule will work. Otherwise, you will need to use product tags. Reach out to us if you don't know which one to use (tags vs discount rules). Here, I decided not to offer cash refunds, and only offer store credit and exchanges for all discounted items. The cost of the label will also be subtracted from the return. To add the return options, just click on "Add Return Options" and set them as you'd like. International returns can be tricky, especially when offering pre-paid labels. In those cases, you can decide not to offer pre-paid labels to international customers. The return can still be free otherwise! Finally, you want to make sure to write a clear and concise return policy. The return touchpoint is now a huge part of your customers' buying experience, so the return policy should be treated as such, using your brand's tone and friendly language. Also, make it very clear if some items are not eligible for returns. 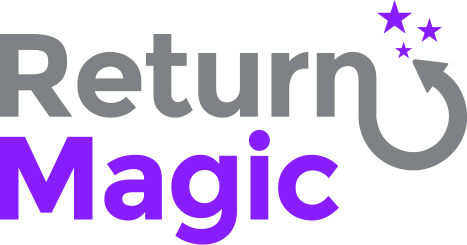 If you want to learn more on best practices, our CEO, Guillaume, has written a blog article on how to make the most of your return touchpoint with lots of insightful data. Feel free to share your own return policy tactics with us!